Airports Council International (ACI) released its annual list of top global airports by size and region based on its Airport Service Quality Awards program, which measures passenger satisfaction for departures across 34 key performance indicators. Toronto Pearson International, Fort McMurray International, and Ottawa International were the lone Canadian winners in this year’s survey. Now in its 13th year, the Airport Service Quality (ASQ) program delivers almost 650,000 surveys per year at 376 airports across 90 countries. Three quarters of the world’s 100 busiest airports are part of the 2018 ASQ program, which means that last year more than half of the world’s 8.3 billion travellers passed through an ASQ-recognized airport. For the second consecutive year, Toronto Pearson (along with Dallas Fort Worth) was named as North America’s best airport serving more than 40-million passengers per year. Toronto Pearson was also named as North America’s most-improved airport, an honour shared with Félix-Houphouët-Boigny in Abidjan, Côte d’Ivoire (Africa region), Silangit International in Siborong-Borong, Indonesia (Asia-Pacific), Bergen Airport in Bergen, Norway (Europe), Juan Santamaria International in San Jose, Costa Rica (Latin America/Caribbean), and Muscat International in Muscat, Oman (Middle East). Ottawa International (along with El Paso International in Texas) was named as North America’s best airport serving two to five million passengers per year. Fort McMurray International (along with Portland International) was named as North America’s best airport serving less than two million passengers per year. There are a total of six categories organized by number of passengers served, in each of the six regions outlined above in the most-improved airports listing. In the program’s new Best Infrastructure and Facilitation category, no fewer than seven Indonesian and eight Chinese airports are recognized in their size category, which mirrors growth trajectories of these regions in terms of the global commercial aviation industry. Along these same lines, Kempegowda International Airport in Bangalore, India, won the first ever ASQ Arrivals Award, based on a new Arrivals Survey. It is the first airport in the world to win both a Departures and an Arrivals award in the ACI program. “We’re extremely grateful to our passengers, who took time out from their travels to give their feedback and for choosing Toronto Pearson as the best large airport in North America again this year,” said Howard Eng, president and CEO, Greater Toronto Airports Authority, noting the collaboration some 50,000 airport colleagues. In terms of Toronto Pearson’s award for the most-improved North American airport in 2018, the operation points to a range of improvements to airport ambience, including the opening of 27 new retail, food and beverage locations. GTAA also notes efforts to move passengers more quickly from curb to gate through new, faster CATSA Plus security screening lanes, the introduction of 400 new digital screens, and enhanced ground transportation options. 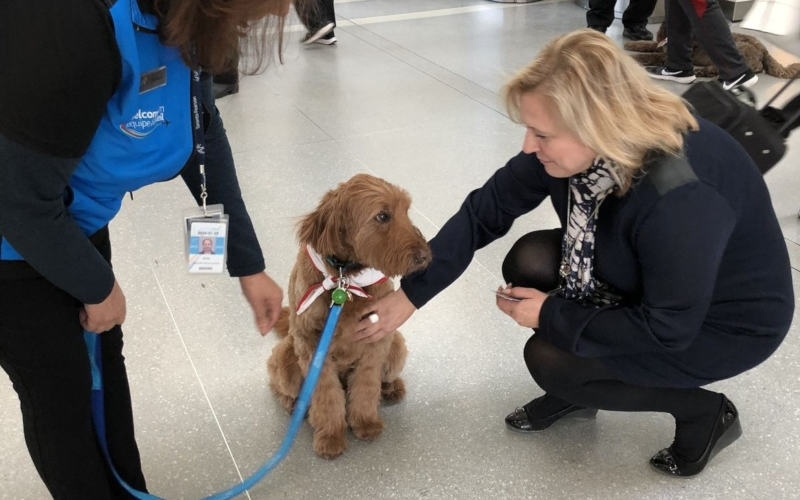 Toronto Pearson also notes the revitalization of all 80 washrooms in Terminal 3; improving the cleanliness of terminals; and the introduction of therapy dogs, state-of-the-art Mamava nursing pods, and Changing Places assisted changerooms. The airport also added free series of YYZ Live in-terminal musical performances and a 10x speed and capacity upgrade to its free Wi-Fi service.